The great musical and electronic innovator Les Paul passed on today at age 94. That sure is a big impact from one person in a single lifetime. Many people make large contributions to an industry during their lives, but Les was different because what he did really changed the basic core of how we create and listen to music. I met Les once at a party in a hotel room during an AES convention maybe 15 years ago. Funny guy, full of life, and loved the ladies even at his advanced age (late 70's) at the time. He was the center of the party and he loved every minute of it. I only wish that I would've had my picture taken with him (had the chance but it didn't happen for some unremembered reason). Here's a little bit from Les' television show with his former wife, Mary Ford. Notice the multi-tracked guitars and vocals, which were way, way ahead of the time when the show was filmed (1954). 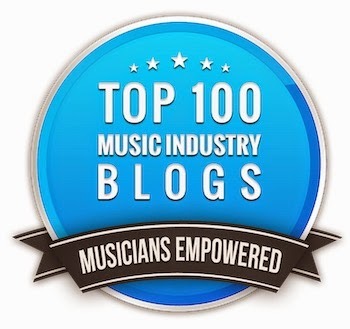 Bruce Houghton wrote a nice post on his ever entertaining Hypebot blog today about the 10 major milestones in modern music marketing. It's hard to argue with any of these, and they all are certainly milestones in some way, shape or form. I've added my comments in italics afterwards where appropriate. 1. Seth Godin writes "Permission Marketing" way back in 1999 pointing the way towards a new era of artist and fan relationships. I personally thought that his book "Tribes: We Need You To Lead Us" is more of the milestone, but Permission Marketing certainly ranks right up there. 2. CD Baby offers indie and d.i.y. artists a home to reach a wider audience on the net. 3. The Arctic Monkeys parlay internet pre-release buzz into the fastest selling debut album in UK history. 4. OK GO proves the power of YouTube with an ultra-low budget "treadmill" video "Here We Go Again." 5. TuneCore tears down the last barriers to distribution offering low flat fee no strings attached access to the worlds top digital stores. 6. Radiohead releases "In Rainbows" asking fans to pay want they want for the download. 7. Trent Reznor grosses $1.6 million in first week sales by offering fans options from $5 to a $300 limited edition package of his latest Nine Inch Nails release "Ghosts". Whether it's calculated or just an inherent feel for Internet marketing, Trent is the master and deserves to be on any top 10 list. 8. Jill Sobule asks fans for help recording her new album raises more than $80,000. Pretty good considering she was only looking for $75k and could've raised more had she not cut the offering off. 9. David Byrne & Brian Eno release a new collaboration via Topspin. While more evolutionary than revolutionary, this was one of the first well planned and executed releases that took full advantage of modern music marketing techniques with impressive results. 10. Amanda Palmer made $19,000 in 10 hours on Twitter proving the music marketing potantial of micro-blogging platform. I wonder about this one. Seems a bit fishy somehow. Who ever thought that social networking would be uncool? Apparently that's what millions of 15 to 24 year olds now think about the major social sites like Facebook and MySpace, according to an article in The Guardian. The article states that according to a recent study by Ofcom (the independent regulator and competition authority for the UK communications industries), the overwhelming presence of 25 to 34 year olds has driven away their younger peers. While the number of profiles have been increasing for the older demographic, the younger has shrunk by an almost identical amount. "There is nothing to suggest overall usage of the internet among 15-to 24-year-olds is going down," said Peter Phillips, the regulator's head of strategy. "Data suggests they are spending less time on social networking sites." James Thickett, director of market research at Ofcom, said that while older people seemed to be embracing social networking sites, Facebook and MySpace still remained immensely popular with children under 16. As we've seen several times in recent history, social networks are transitory in popularity, especially with fickle teens. What is massively popular today may be just as uncool tomorrow precisely because of that massive popularity. MySpace seems to be fading (as is Linkedin with the professional crowd), Facebook seems to have peaked, and Twitter is growing but skews old as it's never captured the hearts and minds of the below 25 crowd. This makes marketing via social marketing a very moving target. Just about the time you get good at utilizing a social platform, it's time to learn the nuances of a new one. This seems to be the new way of working these days. The only question now is how fast something will get old. Stephen Colbert's humor hits really close to home. In this video, Colbert takes the Black Eyed Peas to task for missing too many "Advertunities." This, of course, means that the Peas hardly miss any opportunities to exploit their brand, so it's more of a news item when they pass something up than when they actually do brand themselves. Also, take notice to the pretty blatant examples of Autotune in the video as per a previous post. Autotune may the bane of some artists, a necessary evil with others, and an overused effect by others. I believe that autotune is merely a tool in a mixer's or producer's extensive toolkit that can be used for musically good or evil, depending upon your taste and skill. Here's one of the of the more hilarious uses for autotune.